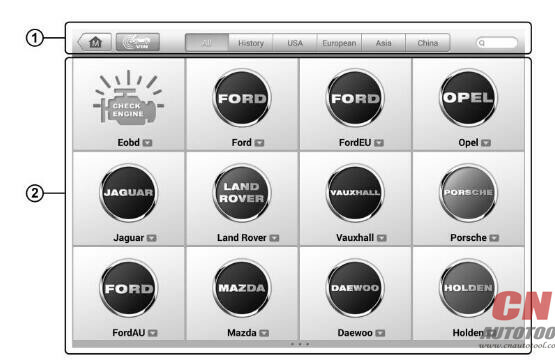 The Manufacturer buttons display the various vehicle logos and the brand names. 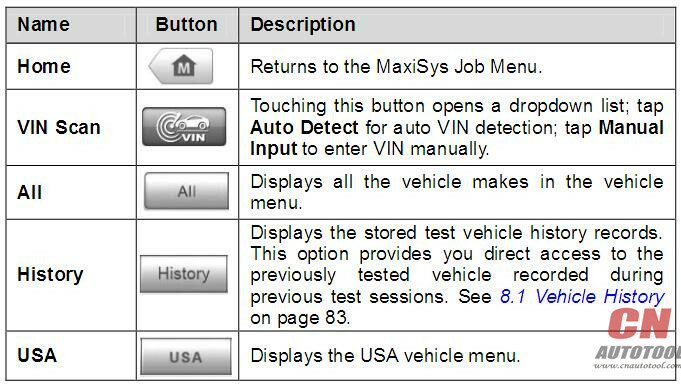 Select the required manufacturer button after the VCI device from CnAutotool is properly connected to the test vehicle to start a diagnostic session. 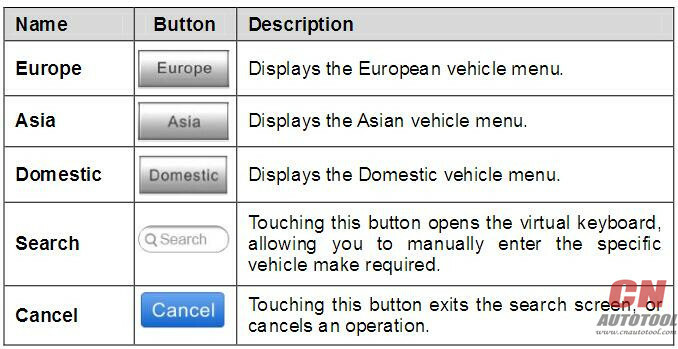 The small envelop icon displays beside the vehicle brand name is tappable, touching which displays an attached PDF file, showing relevant information, such as vehicle coverage,function list,and so on for the corresponding vehicle make.